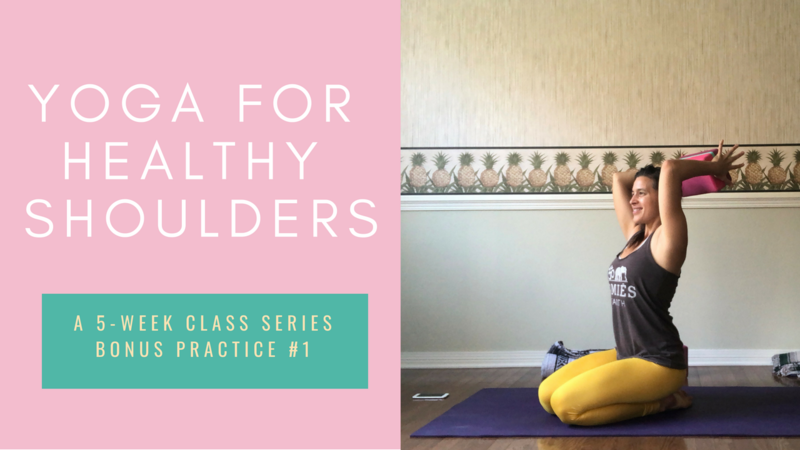 How are your shoulders feeling today? Have you given them enough love, lately? 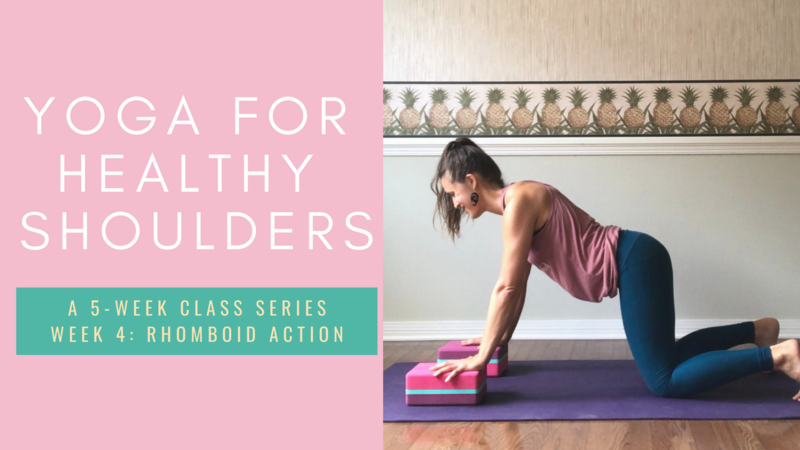 I’m asking because it’s really easy to go through your entire day without giving your shoulders some healthy movement. 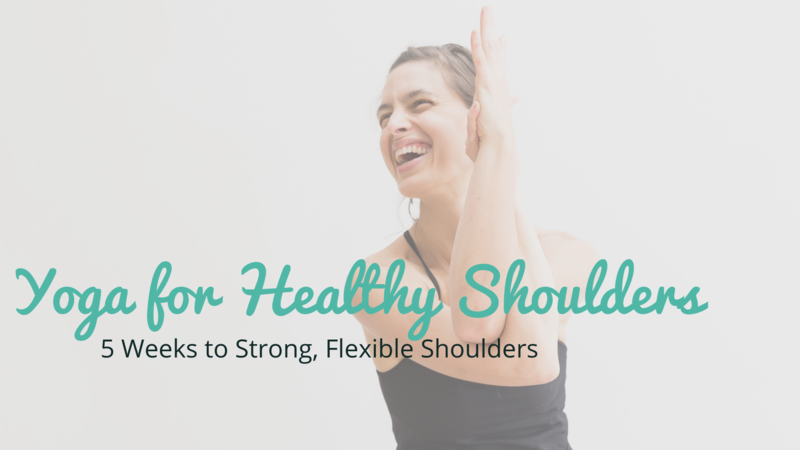 It’s pretty easy, in fact, to go through your entire day without using your shoulders for much at all. 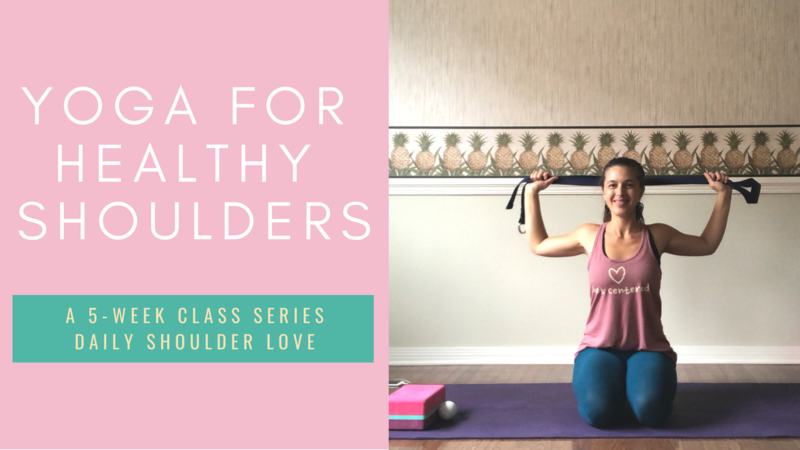 This might lead you to having shoulders that feel tired, tight, cranky, or stiff. Your shoulders are so tight, you can’t put your bag in the overhead bin on the airplane. 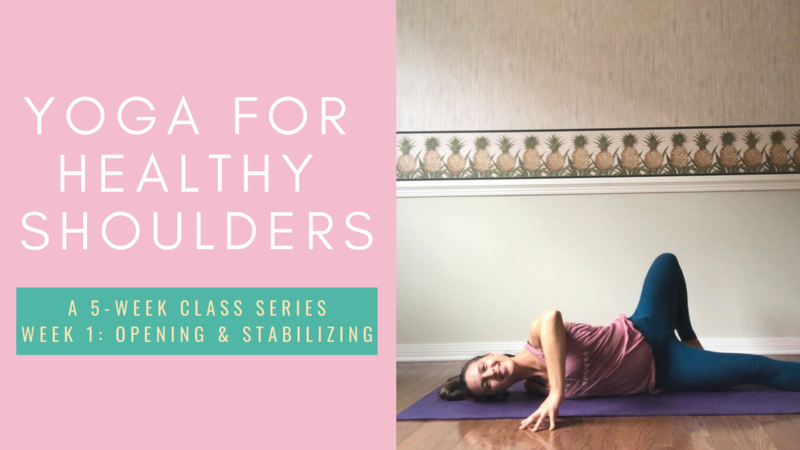 Or your shoulders feel so sore after a long day of computer-asana that even lying in bed at night doesn’t give you relief. 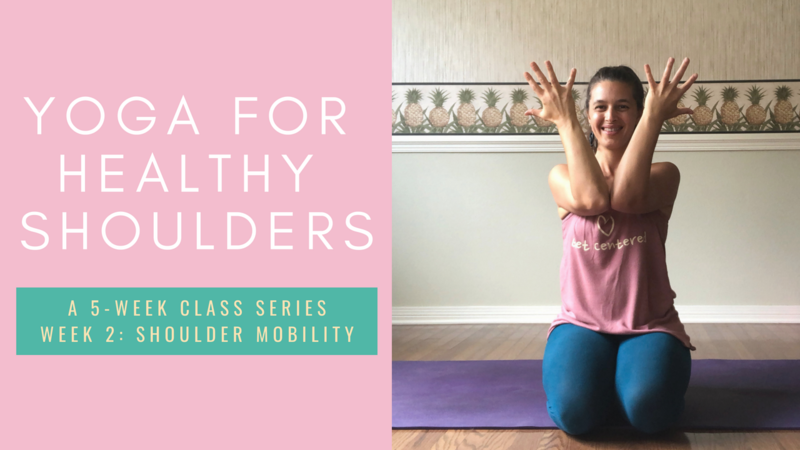 I want to teach you how to take great care of your shoulders in less than 10 minutes every day so you can avoid the shoulder drama. It’s easier than you think and I can teach you how. OMG! My Shoulders Need This! 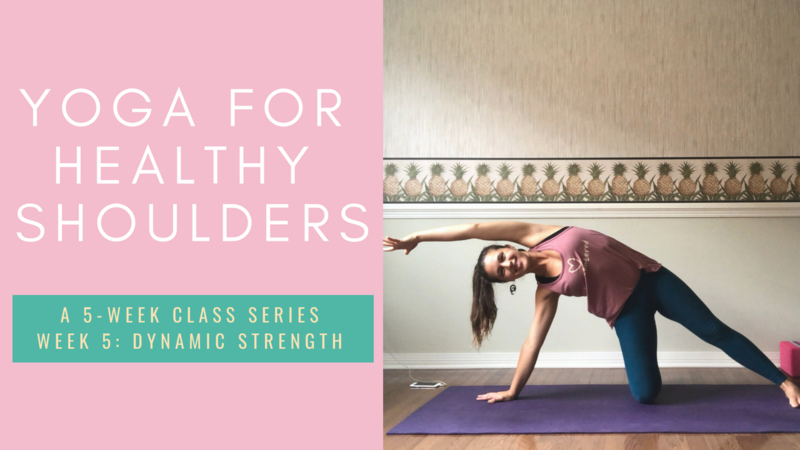 The purpose of this series is to teach you simple and effective exercises you can use to create more strength and flexibility in your shoulders. Over the course of 5 weeks, you’ll receive 8 videos, all less than 10 minutes long. You’ll be emailed one new video each week, plus 3 bonus videos — one at the beginning and 2 at the end. The videos are intentionally sequenced, building progressively from simpler actions into one that are more dynamic and complex. 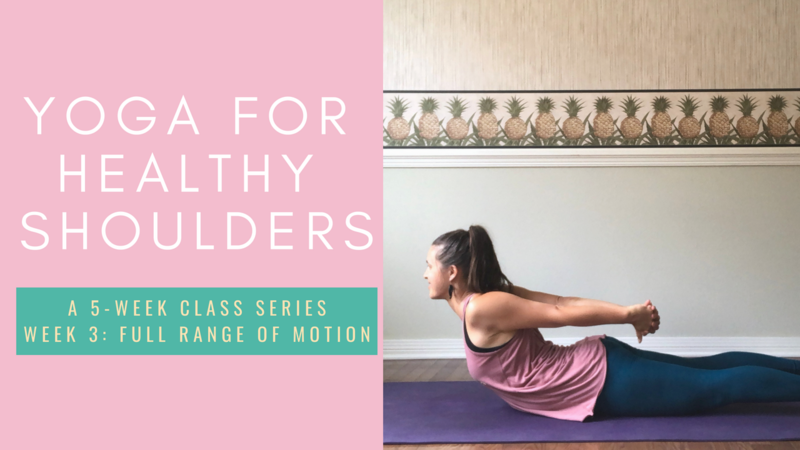 This series is designed to give you a daily practice of showering your shoulders with some yoga love, that you can easily add into your regular daily movement practices (or that can stand on their own as excellent daily movement for your upper body). However, I also provide you with a shortcut if you’re more the DIY type. This way, you also have the option to go through this program “choose your own shoulder adventure” style, with all of the videos in an easy-to-use format. 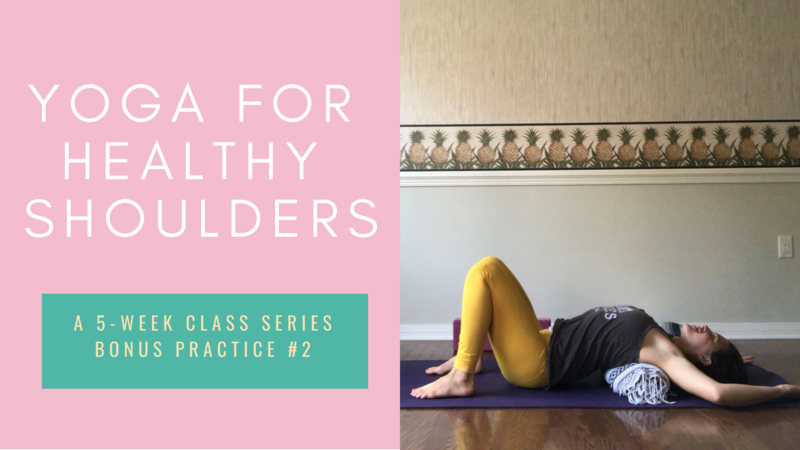 You’ll need 2 yoga blocks, a blanket, a strap, and a tennis ball for exercises in this series. You can also substitute some household objects like books (blocks), towels (blanket), belts/scarves/jump ropes (straps), and very round potato (for the ball — ok, kidding). These are all of my own personal favorites: exercises and practices I’ve accumulated over my many years of practicing and teaching yoga (going on 18 years, y’all). 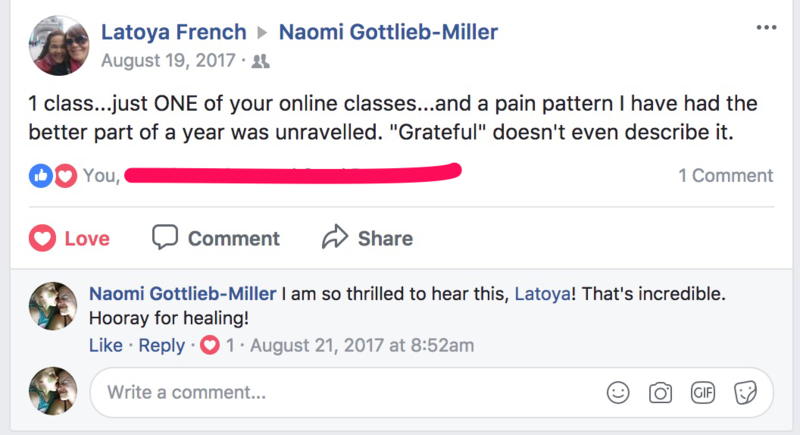 The cool thing, though, is that I am also still learning and adding new practices to my shoulder-love repertoire regularly. When I get a few new great ones, I’ll be adding them to this collection. That means, you’ll get them, too. No need to re-purchase. Now that’s what I call a big BONUS! All of this awesomeness can be yours for just $37! Read a little bit about what my students have to say. These are a few peeps who’ve taken my classes and have had some powerful, positive experiences. I'm Sold! My Shoulders Need This Now!